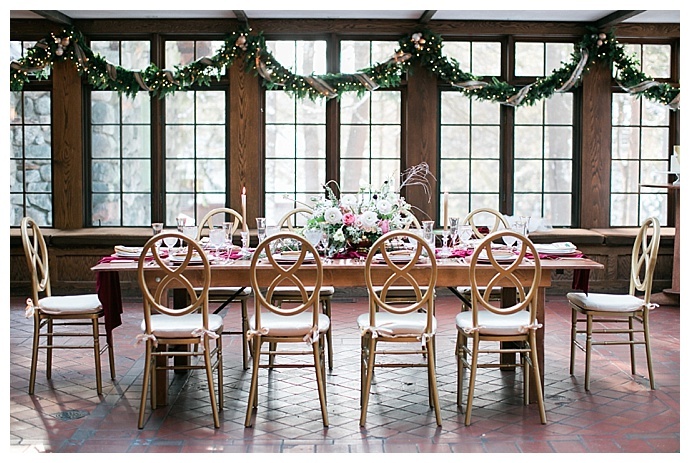 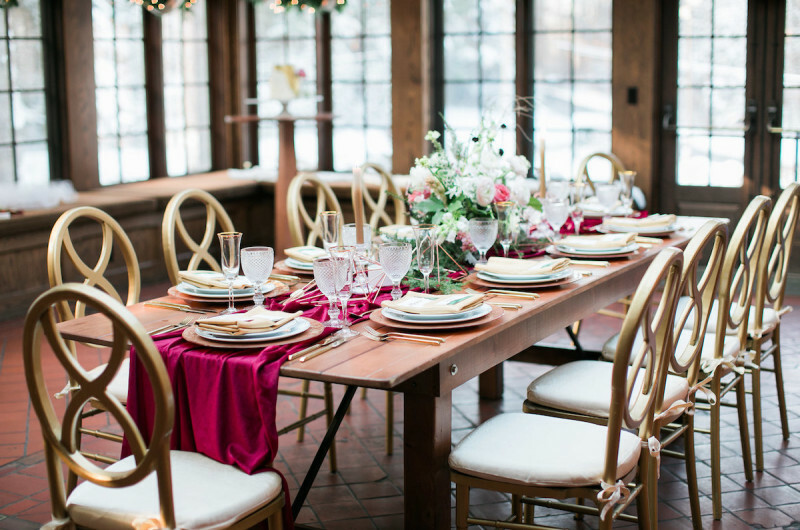 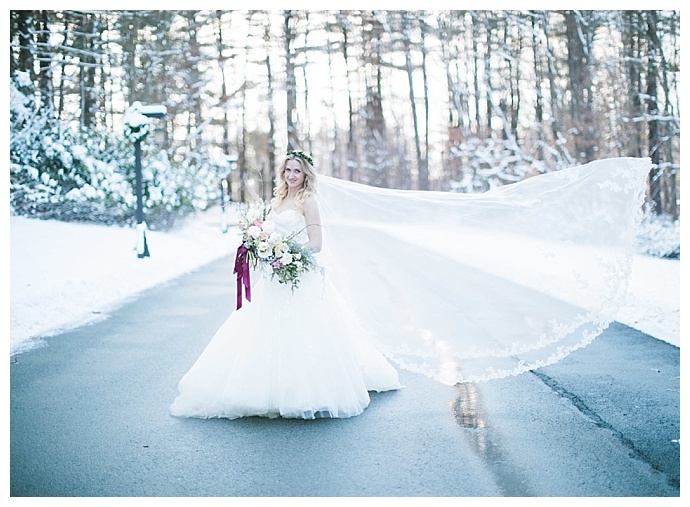 Instead of dreaming of a white winter wonderland for your wedding day, you’ll get to live it with today’s gorgeous wedding inspiration at New England’s picturesque Willowdale Estate. 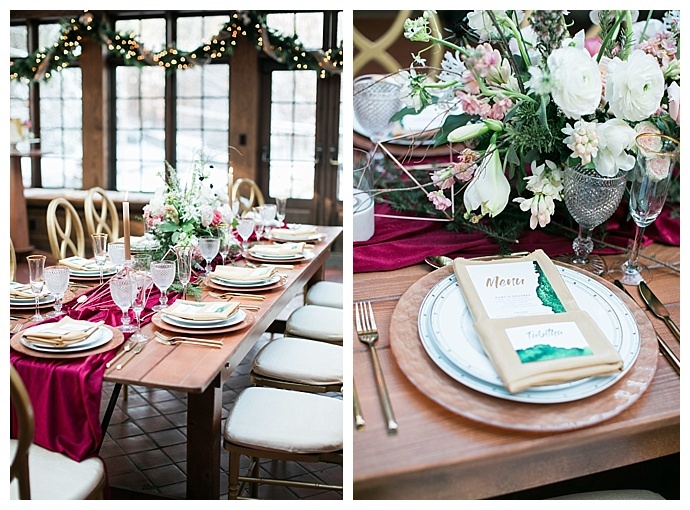 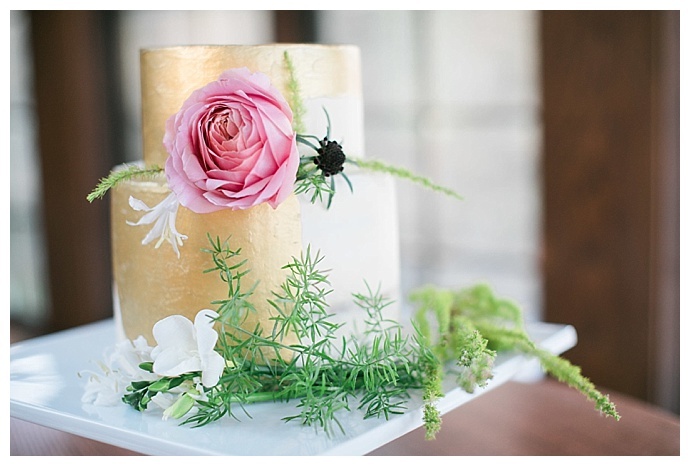 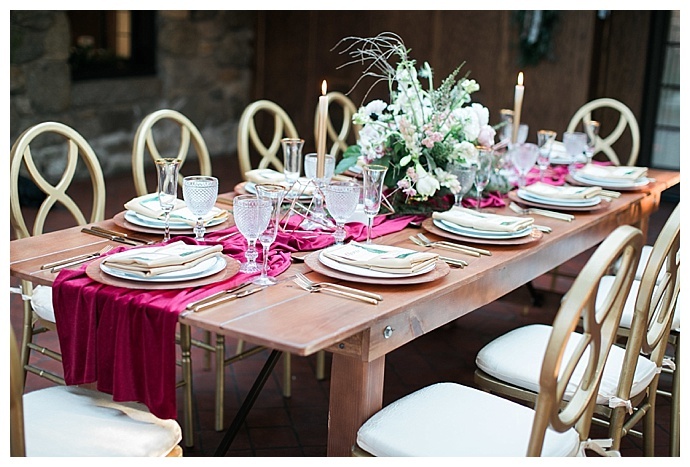 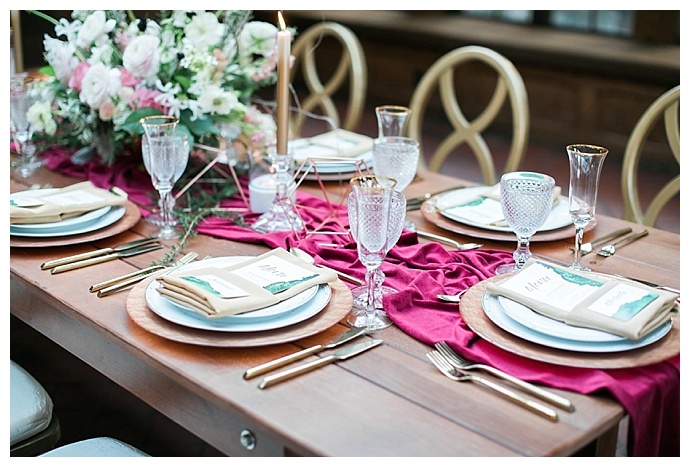 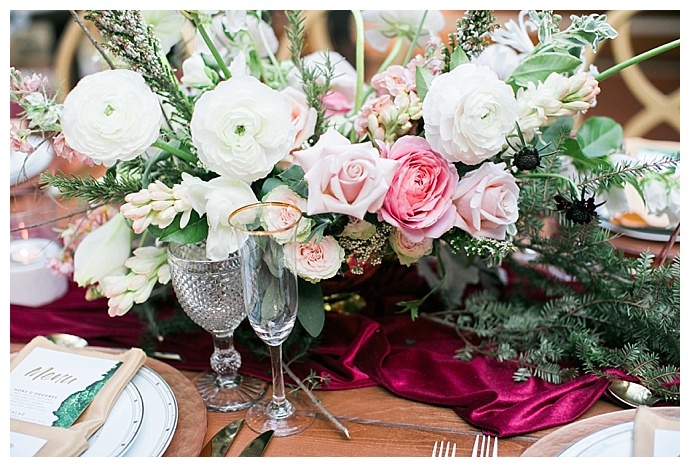 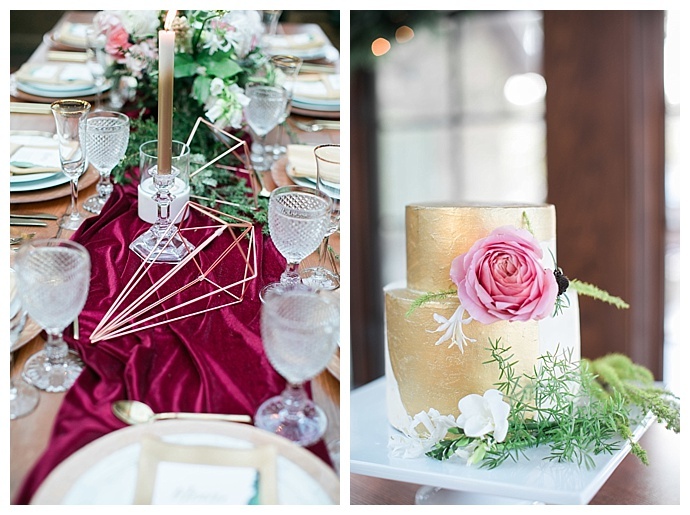 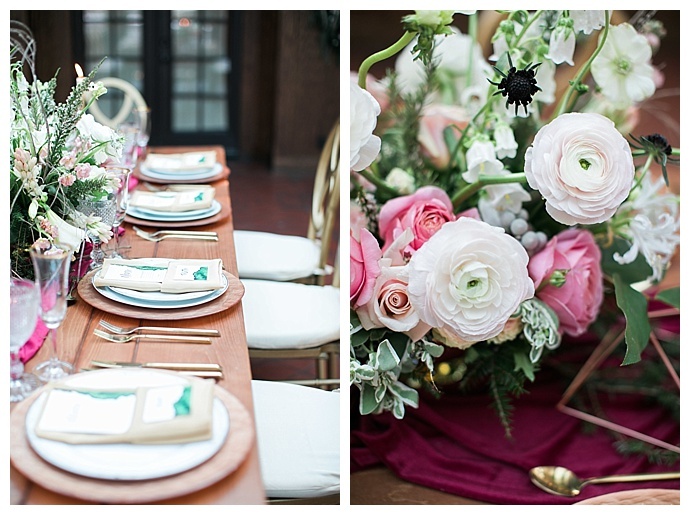 As fresh snow blanketed the ground outside, inside, lush greenery hung around a table draped with a velvet crimson runner that was sprinkled with metallic geometric details and lush white and pink florals. 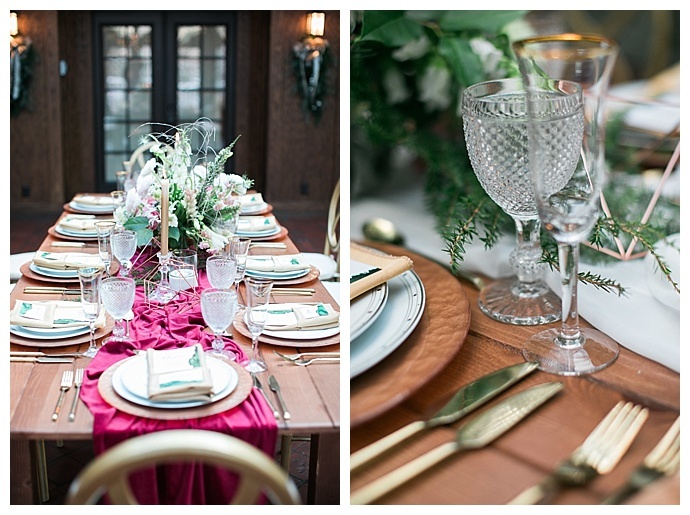 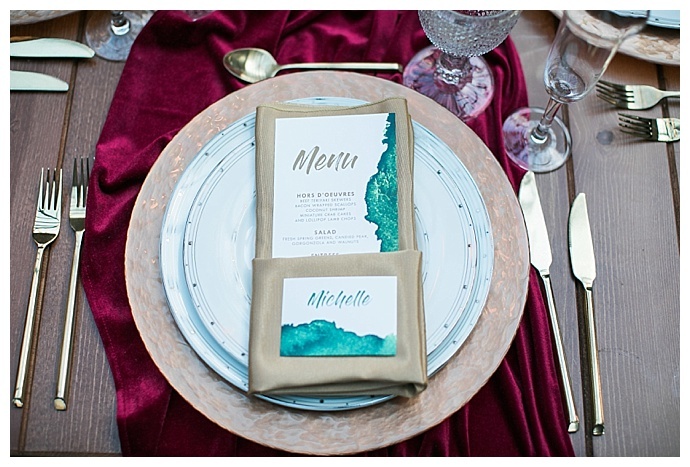 It’s an absolutely dreamy tabletop with green watercolor menus and place cards to match the striking invitation suite that blends beautifully with classic crystal glassware and gold flatware. 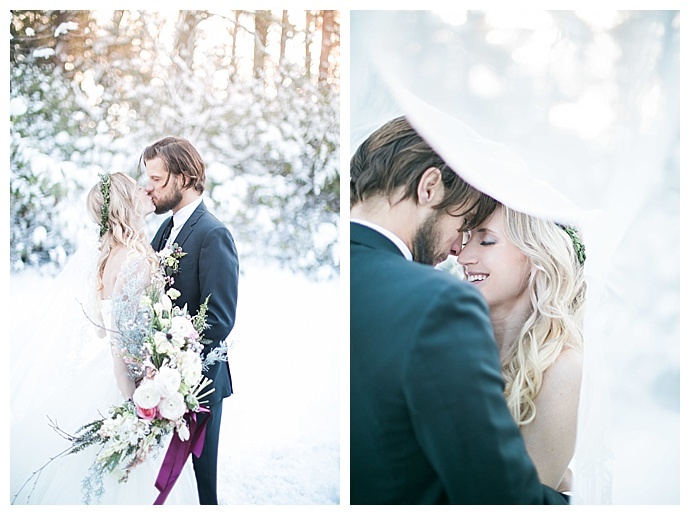 Sokkha Photography captured this stunning inspiration and stylish couple who braved the cold for some incredibly romantic portraits in the snow. 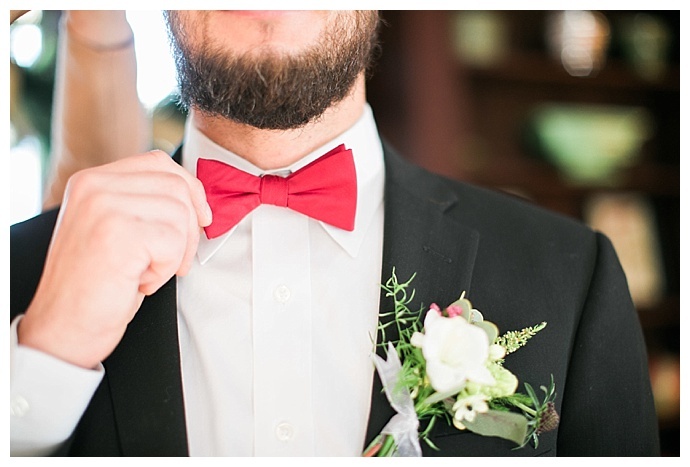 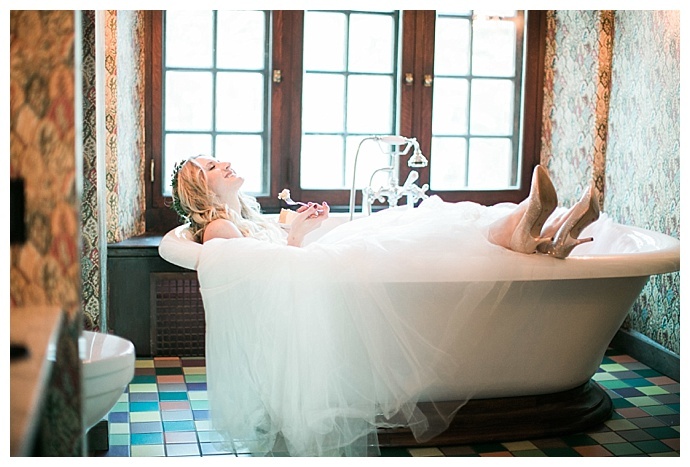 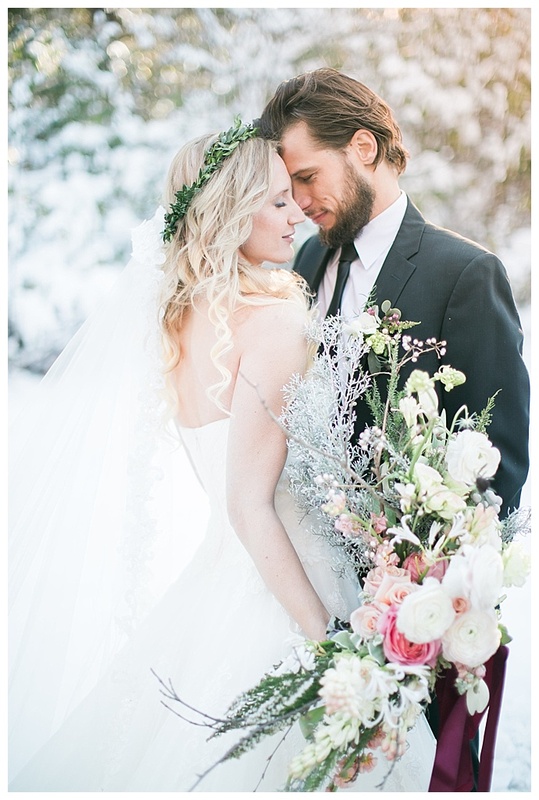 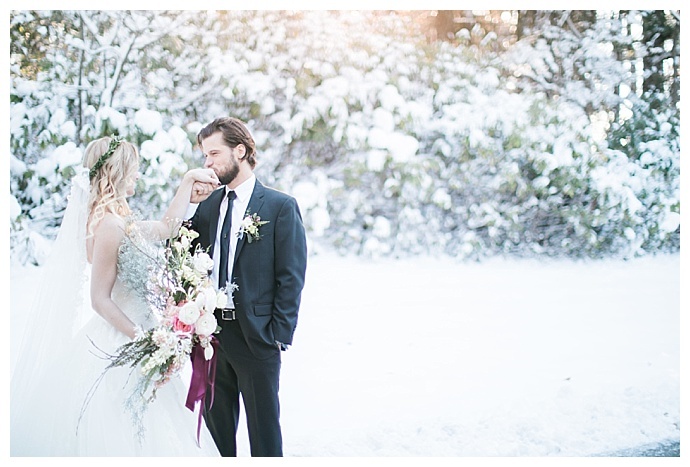 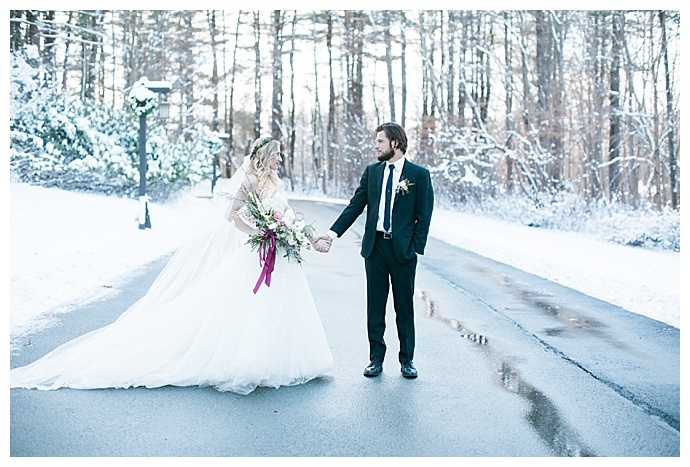 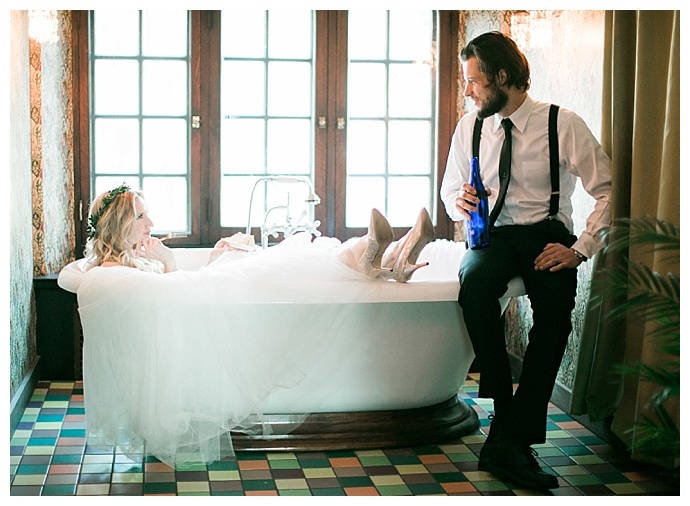 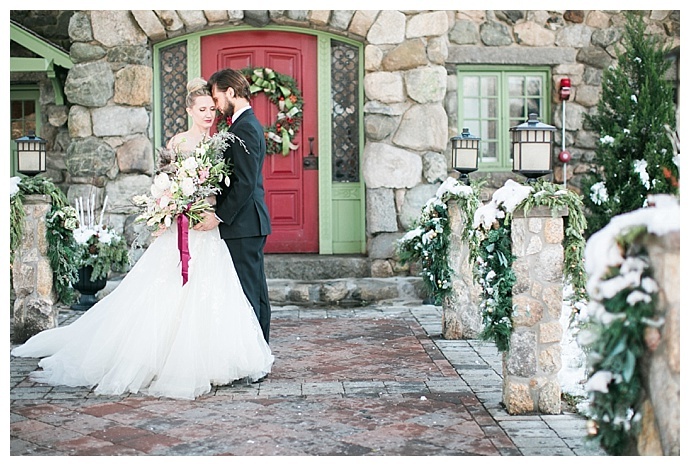 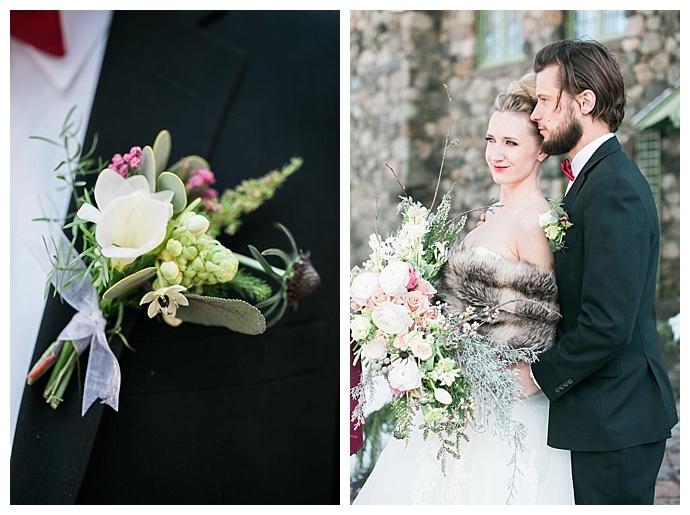 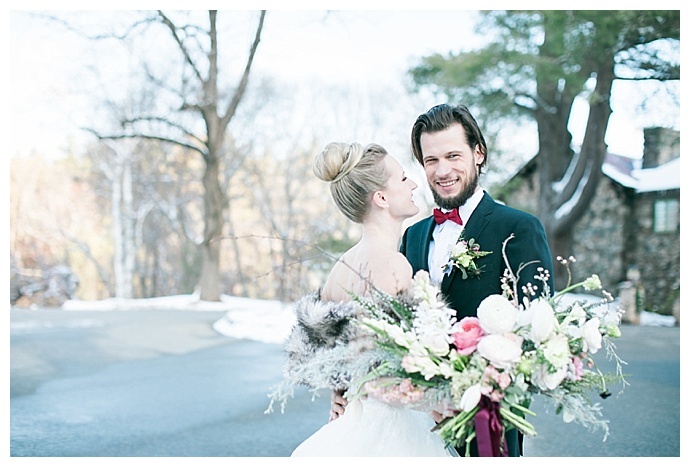 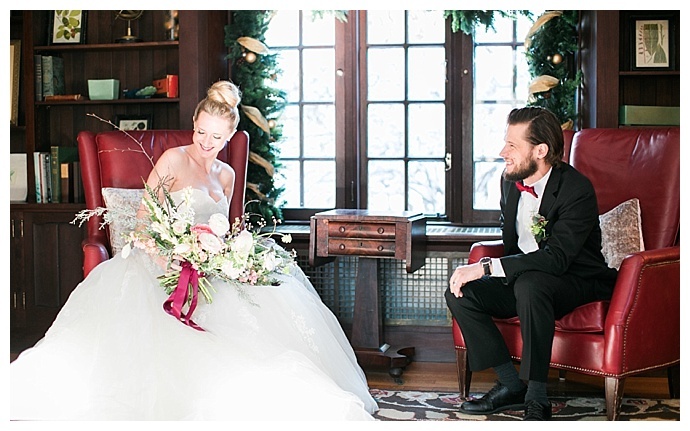 If you’re a winter enthusiast who’s secretly wishing for snow on your wedding day, this is definitely the shoot for you! 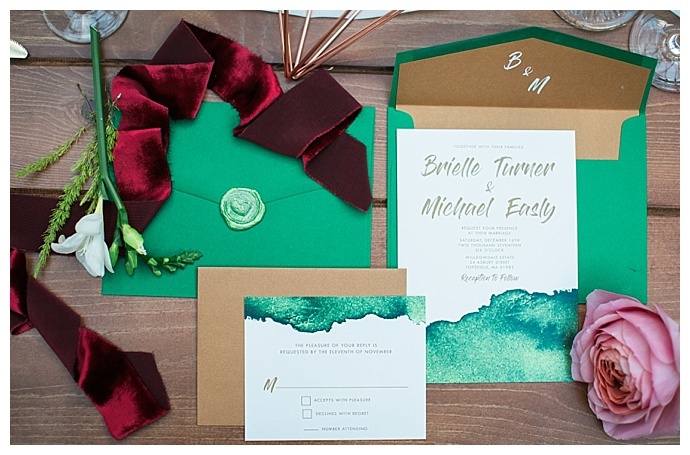 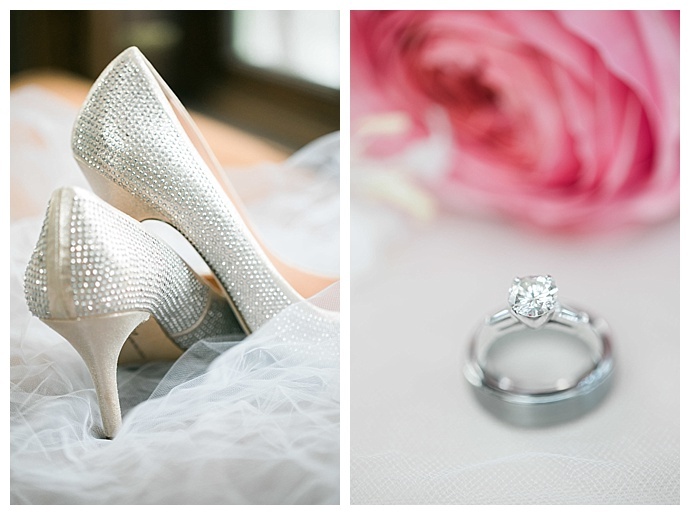 And even if you hate the cold and dream of a wedding underneath the summer sun, we know you’ll still find pin-worthy details to inspire your dream day!